Scientists and engineers have been envisaging and developing ‘machines’ small enough to swim through blood and move in bodily tissues. The point of such projects is to produce the definitive nanorobot, a new form of medical device that may be able to target things such as dangerous chemicals, virus particles or even cancer cells. However, there are still several obstacles to the functional nano-bot. These include immune system attacks, which is the fate of nearly anything viewed as alien. Nano-bots also tend to attract certain human proteins, which aggregate onto the surface and impede their mechanism, over time. A new example of the nano-bot has been documented in a recent Science Robotics paper. The robot gets around many of the problems after being accepted by human immune cells through a custom membrane that makes it appear like a benign cell. This innovation also avoids the risk of generalized protein adherence, which is known as bio-fouling. It allows the nano-bot to move freely through the blood to carry out its functions. The bot was designed to target and remove toxins from the blood. The researchers behind this project have reported that it does so effectively and efficiently. The nano-bots were made of nanometric gold wire (a typical feature of medical devices intended to go in the body as gold is bio-neutral, non-toxic and robust), which forms a sort of skeleton for these tiny machines. Each skeleton was then coated in a membrane, a layer of lipids and proteins, in the conformations typically seen in many human cell types. This membrane, however, was specially commissioned. It shares important traits (mostly proteinaceous in nature) with those of red blood cells and platelets. These cells are almost never attacked by immune cells, are ubiquitous in the bloodstream and perform vital functions. As a result, the nano-bots were able to move through blood samples just like the average cells do. In addition, the custom membranes allowed them to become a target for the bacteria, Staphylococcus aureus, which has been observed to bind platelets in vivo. In the study, S. aureus, a well-known pathogen, attached itself regularly to the nano-bots, which removed them as threats to the real cells in the same blood. 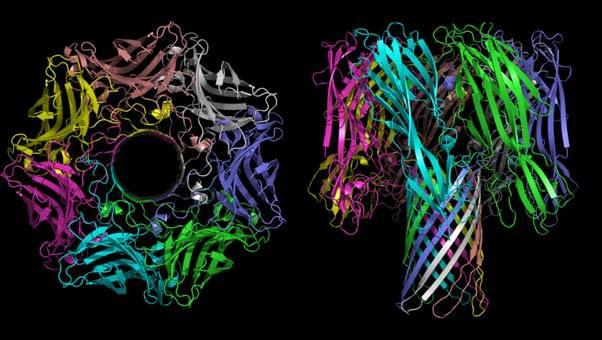 The membranes also bound and neutralized S. aureus-associated toxins such as alpha-toxins, which function to form a pore in a host cell’s membrane, thus disrupting its integrity and allowing dangerous ions into the cell. Such events often cause the host cell to enact apoptosis (or programmed cell death) in response. In more severe cases of S. aureus infection, alpha-toxins also allow for generalized calcium ion invasion. This is associated with a number of adverse reactions including necrosis. 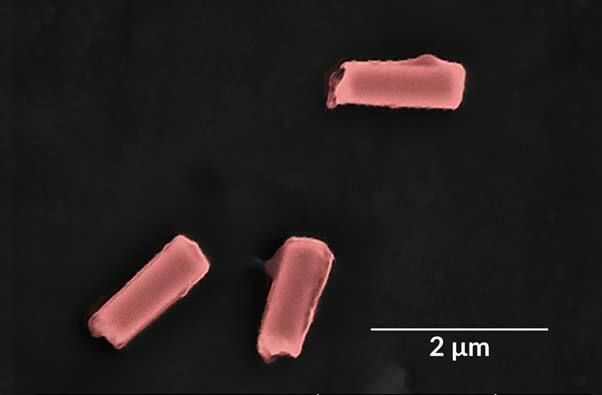 The nano-bots could reduce infection risks by augmenting the natural platelet numbers available to carry out the same tasks. It is believed that these devices can boost the defensive response against S. aureus infections in blood that contains these bots. The robots were developed by the Department of NanoEngineering within the Jacobs School of Engineering, University of California (San Diego). The team behind this was led by engineering professors, Liangfang Zhang and Joseph Wang. The investigators conceded that their nanobots were at a very preliminary stage of design. But they also proved, through the experiment, that their product could move through blood independently, and it demonstrated the ability to bind S. aureus units, under scanning-electron microscopy (SEM). The researchers now hope to refine their nano-bot designs further, so that the bots may help real patients with S. aureus-related conditions, someday. In addition, the engineers also envision future versions of their nano-bots that can bind and neutralize a broad range of pathogens besides S. aureus. End-products such as these may represent a revolution in immune-boosting medical technology. It could imply a potential future in which hospital-acquired infections, for example, are no longer an issue. So far, the nano-bots have been tested in vitro, which involved closed systems using substances such as stored blood samples and synthetic media. The next steps for this project may include trials of the nano-bots in living animals. If these are successful, they might then be tested in living humans. In addition, Wang and Liangfang aim to replace the gold in the current design with suitable biodegradable analogs. 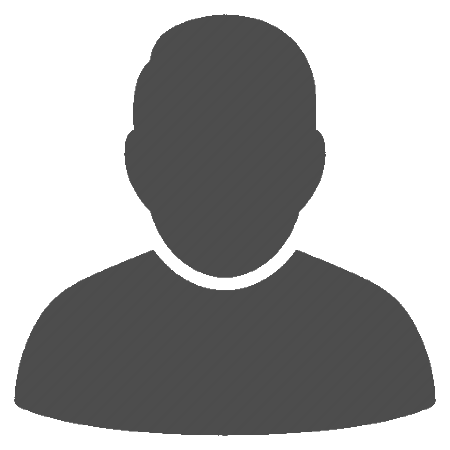 This addition may reduce the expenses and resource wastes involved in the project. Furthermore, fully biodegradable nano-bots could be safely dismantled or even recycled by the body after their functions have been successfully carried out. In other words, the bots would be more like real cells. Reports of this project indicate that the nano-engineers and scientists dreams need to mimic real-life cells as much as possible, in order to be viable and successful. The study also demonstrates that the same engineers can successfully replicate and implement artificial membranes that help the nano-bots carry out potentially beneficial functions. Hopefully, the UCSD professors will now secure funding to validate and develop their little pathogen-catching robots, until they become the antimicrobials of the future. B. Esteban-Fernández de Ávila, et al. 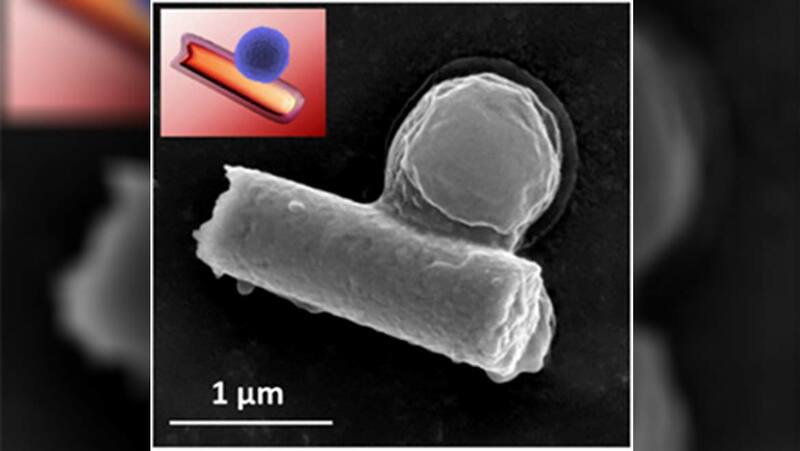 (2018) Hybrid biomembrane–functionalized nanorobots for concurrent removal of pathogenic bacteria and toxins. Science Robotics. 3:(18). C. H. Wong, et al. (2013) Nucleation of platelets with blood-borne pathogens on Kupffer cells precedes other innate immunity and contributes to bacterial clearance. Nat Immunol. 14:(8). pp.785-792. Your pictures are identical to an acid trip fractal hallucination.